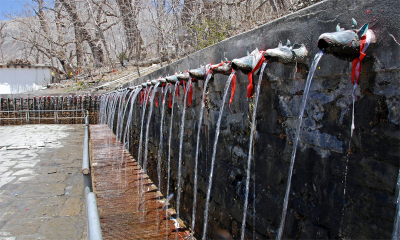 Established with the theme of providing quality service, Muktinath Yatra Pvt. Ltd. is one of the pioneering organizations in developing the concept of meaningful travelling. With high reputation and standard service we have catered thousands of prestigious clients where our clients’ satisfaction has always become our top most priority. 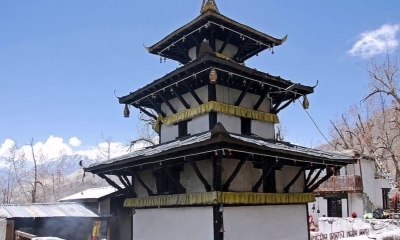 Muktinath shrine is pagoda shaped temple standing atop the hill dedicated to Lord *Vishnu*. Consorted by the Goddess Bhuneela, the Lord reigns supreme not only in the heart of millions of pilgrims who visit the shrine but also in the Holy Scriptures, which abound with his pious description. Muktinath Temple is one of the more famous religious place for the Hindus. Muktinath Temple is one of the most ancient Hindu temples of God Vishnu. The murti is of gold and is tall enough to compare with a man. Within Hinduism, it is called Mukti Kshetra, which literally means the "place of liberation or moksh". 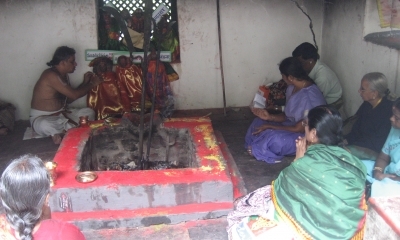 This temple is considered to be 106th among the available 108 Divya Desam considered sacred by the Sri Vaishnava sect. 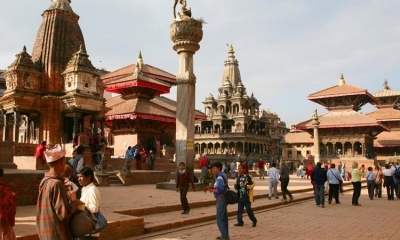 In 1984 seven sites in Kathmandu valley were included in UNESCO's World Heritage List. The narrow passes and traditional lifestyle in the heart of the capital city will provide you with the different type of holiday experiences. And Nagarkot, located 32 kilometers east of Kathmandu, is one of the most scenic spots near Kathmandu Valley and is renowned for its spectacular sunrise view of the Himalaya including Mt. Everest when the weather is clear. Muktinath Darshan will be completed by all flights from Kathmandu to Jomsom via Pokhara and return. 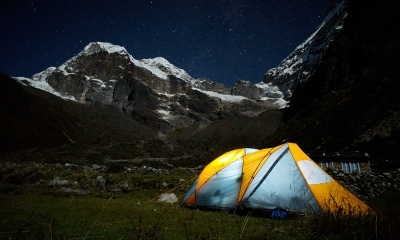 This trip fulfills your dream within five days. You can make unforgettable Yatra of Muktinath, Pashupatinath and many temples Darshan and sightseeing in Kathmandu, Pokhara, and Muktinath. A dreamland for nature lovers and a true paradise for the admirers of cultures, Nepal is a natural heaven for all those who adore its beauty and respect the culture and tradition. Muktinath Yatra provides Nepal Ideal tour which can be considered as the perfect blend of nature, culture, wilderness, and adventure. 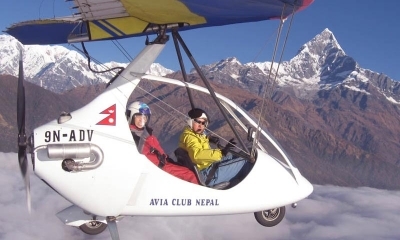 Starting from the culturally rich city of Kathmandu, we will embrace the beauty of nature and Himalayas in Pokhara followed by involving adventure activities at Chitwan. 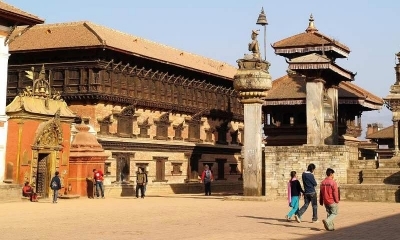 Kathmandu is a cultural source of knotted histories and fascinating cultural encounters that never disappoint, making it one of the most popular and favorite destinations in South Asia. It truly is a place for travelers to realize their dreams. By contrast, Pokhara is a relatively peaceful, enchanting Himalayan valley nestled in a serene valley. Muktinath Yatra Pvt. Ltd. offers Mukthinath trip for parents of the people who are very very busy on their job or business. From this plan they can fulfill their dream to send their parents for Mukthinath Darshan with the help of our company. In this plan we use extra equipment and extra manpower.